England is still mourning the shocking, violent death of Labour Party politician Jo Cox, a Member Of Parliament who was fatally shot and stabbed on June 16 by a man who seems to be a mentally disturbed right-wing extremist. Over the course of the last week, Cox’s death has cast a pall over the ongoing so-called “Brexit” debate, which has been fueled by anti-immigration sentiments. As the country processes this disturbing and discouraging tragedy, the veteran art rockers in Portishead have released an appropriately somber video in tribute to Cox. At first, however, the band’s choice of song might seem to be highly unusual for such an occasion. It’s a cover version of the classic 1975 hit “SOS” by ABBA. Upon closer inspection, however, there is a dramatic disconnect between that song’s message and its original upbeat arrangement. In isolation, the lyrics of “SOS” are about desperation and grief: “When you’re gone, how can I even try to go on?” The Portishead version, which also appeared in the 2015 film version of High-Rise, retains the lyrics and melody, but the spare, haunting arrangement is markedly different from the ABBA version. The grainy black-and-white video, too, takes a minimalist approach. 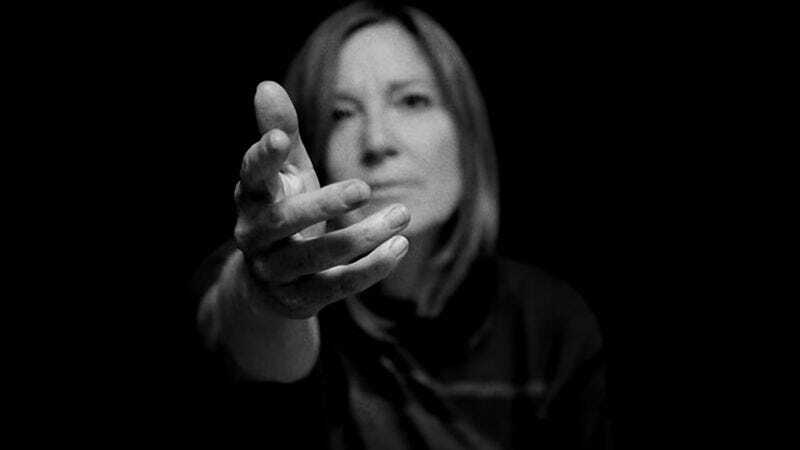 Portishead vocalist Beth Gibbons is all alone here, clad in all black against a stark black backdrop. For most of the video, her eyes are downcast. She refuses to meet the audience’s gaze. As the song progresses, the camera gets closer and closer to the singer, but Gibbons remains slightly out of focus. Only toward the end of the song does she look up. She extends her arm toward the camera, and it is her outreached hand that comes into focus rather than her face. A quote from Cox then appears onscreen: “We have far more in common than which divides us.” Though this video was created in response to a very specific national tragedy, it establishes “SOS” as a song for anyone trying to process the loss of a loved one.